Provide comfort for the family of Azalee Mayes with a meaningful gesture of sympathy. 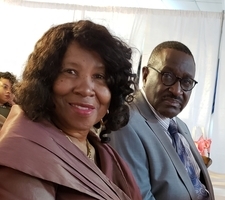 Mrs. Azalee Hill “Aggie” Mayes, 71, of Fountain Inn, South Carolina, departed this life on Wednesday, March 6, 2019, at Prisma Health Upstate. She was a daughter of the late Henry and Mattie Locke Hill. 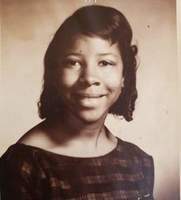 She was a graduate of Washington High School, Class of 1966. and formerly worked at Sara Lee Bakery. She was a faithful member of I-85 Church of Christ in Greenville, South Carolina. “Aggie” was preceded in death by her parents; and two brothers, Ricky Hill and T.C. Hill. Left to cherish many fond and loving memories are her husband, Ted Edward Mayes of the home; two daughters, Sharon Mayes and Tracy Mayes, both of Greenville; one son, Ted Christopher Mayes of Greenville; a son-in-law, Warren Jones; two sisters, Callie (Jack) Rosemond and Carol “Sue” Brockman, both of Greenville; one brother, Carl Hill of Greenville; six grandchildren, Cameron T. Stephens, Stillman R. Stephens, Trela` R. Mayes-Bishop, Precious D. Stephens, Rashad Mayes and Rashilla K. Jones; eight great-grand-children; and a host of other relatives and friends. We encourage you to share your most beloved memories of Azalee here, so that the family and other loved ones can always see it. You can upload cherished photographs, or share your favorite stories, and can even comment on those shared by others. 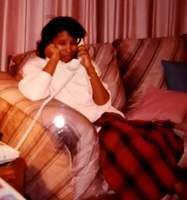 My condolesences, we all grew up togther on Baxter Street in Nicholtown and her husband, Ted is my classmates of Sterling High School, Aggie was a beautiful person and always treated everybody with kindness. God be with you all in your loss. I am so sorry for your loss. During this difficult time, I hope your family will take comfort in Jesus words to Martha, when her brother Lazarus died, at John 11:25. Jesus is the hope for the living and the dead. He showed that death is not permanent and soon we can look forward to a resurrection of the dead (Acts 24:15).